With a big festival buzz around this film I was really looking forward to seeing how this release would turn out, as were many others. I didn't really know what to think going into this film, I'd seen the trailer and got a sense of it but I didn't know what to truly expect. As we all know trailers can often be misleading and I tried keeping an open mind about it all and wonder if the trailer was misleading or full of spoilers. I'd firstly like to state that if you think this is a Horror film (like I initially did) then you're wrong, sure there are Horror elements in the story such as the aforementioned virus and there are certain events that happen that you could say fall into the Horror category, but it's much more. For me, this movie was more of a social satire feature that's filled with plenty of action, some great dialogue and an abundance of blood to satisfy any gore hound. 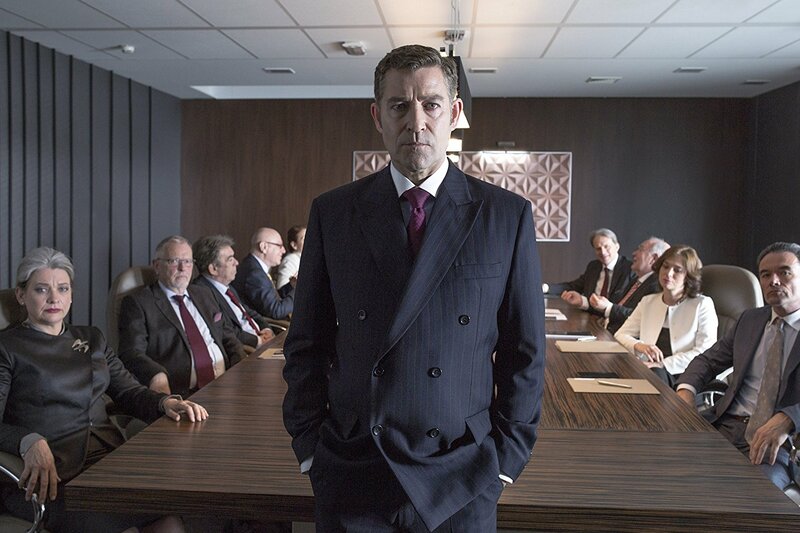 It is a perfect mixture and it does exactly what it sets out to do and that's to entertain us, the audience. 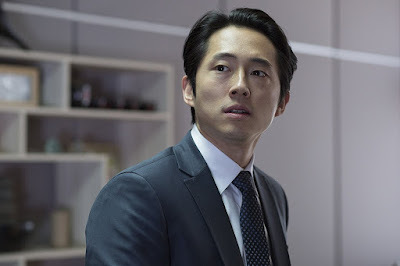 Director Joe Lynch and writer Matias Caruso have made a great team here and it's all evident on the screen, lead stars Steven Yeun and Samara Weaving do an amazing job and I expect this to be a launch pad film for both of them to star in many more genre films. 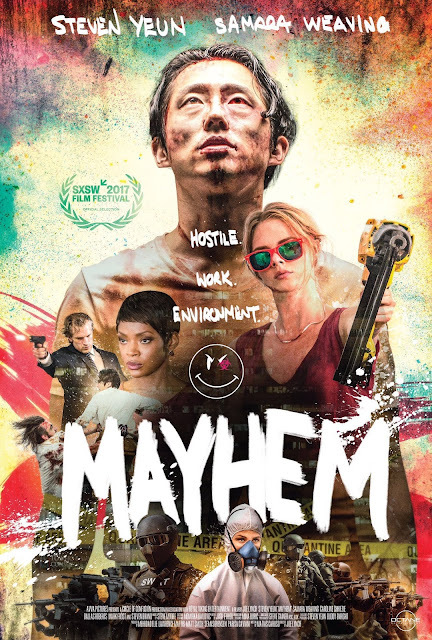 "Mayhem" has won rave reviews and rightly so, as long as you're not expecting a straight up Horror you'll be fine. Now, Just sit back and enjoy the ride.